So I tried to make Potato Knishes the other day, and was not entirely successful at it. (No, the picture above is definitely not what I came up with, this is from the broke gourmet, where the recipe is from.) I ended up with rather yummy potatoes mashed with onion, cheese and thyme. The bread wrapping is where things went wrong. I used whole wheat pastry flour instead of all-purpose flour. I was surprised to learn that pastry flour makes pastry dough. My dough broke apart easily, and would not roll into anything. I sort of thought that it would be the different ratios of dough ingredients that made the biggest change. Apparently, the grind of the flour makes a huge difference. I do wonder why. May have to investigate this further. In the meantime, I definitely want to make these again, but going to try the all-purpose flour this time. 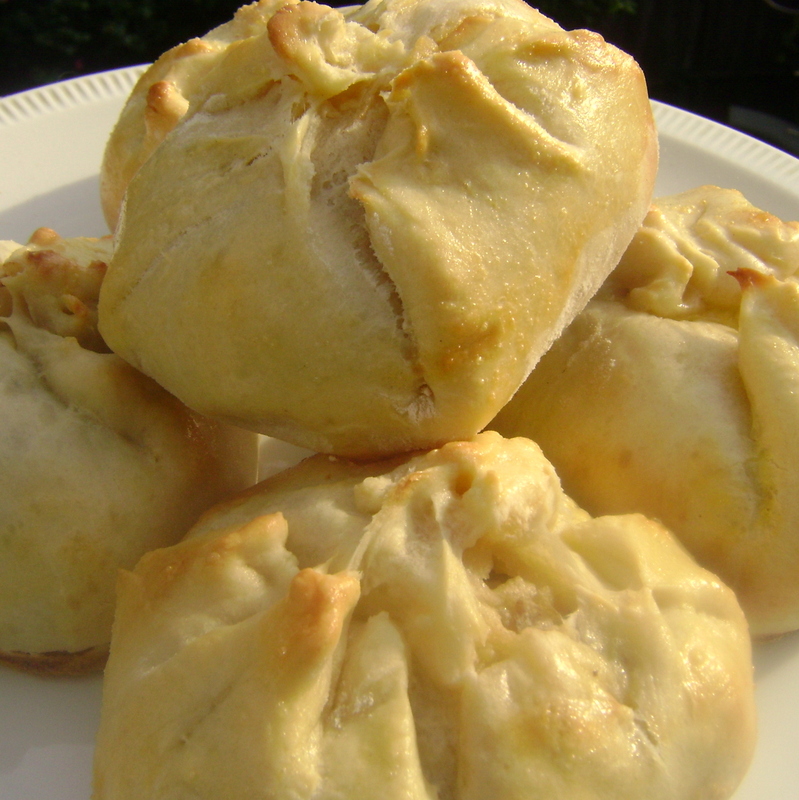 I can confirm that the insides of these knishes are really great; in fact, I'm going to have another bowl of knish innards right now.